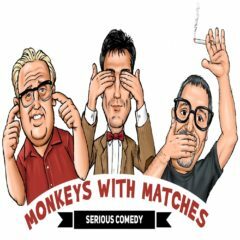 This week we cover subjects like assholes that kill rattle snakes, NASA, Viagra and the pussification of America. Oh well, time to stream a little Pharrell Williams and trim my eyebrows. On our very first podcast Craig goes on a rant to prove that Donald Trump is a soulless orangutan.